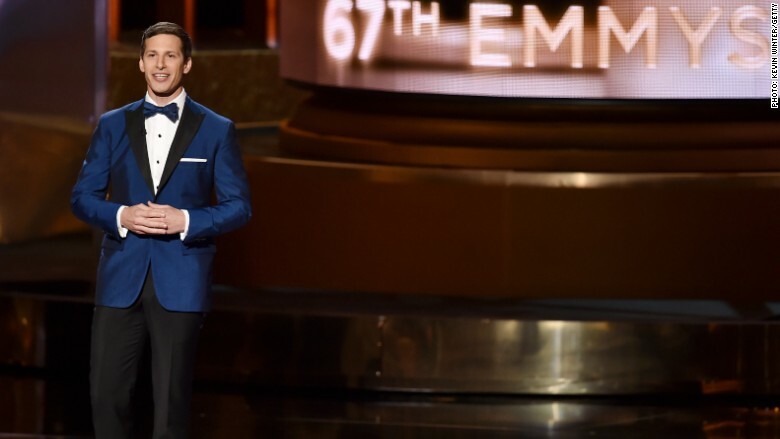 The Emmys had a historic night, and unfortunately so did its ratings. 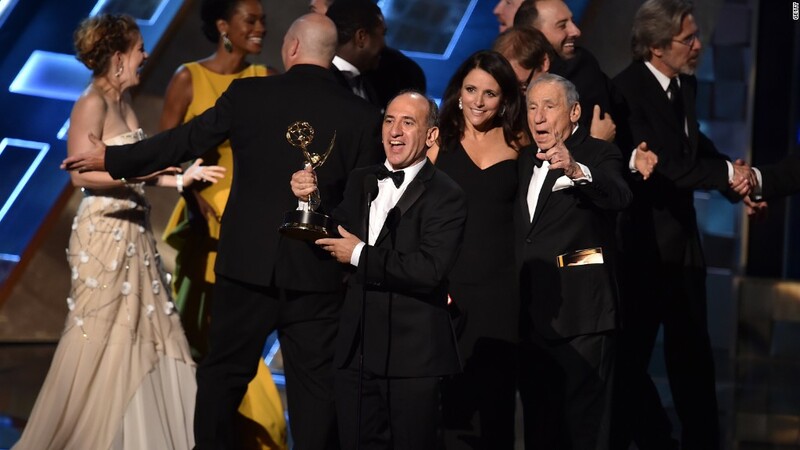 The 67th Annual Emmy Awards brought in a record low 11.9 million viewers on Sunday night for Fox. That is the lowest viewership in the history of the awards, according to Nielsen. This number was down from last year's 15.6 million viewership. Last year's Emmys, which aired on NBC, were on a Monday in late August -- not against competition like the NFL. The broadcast had at least two big highlights: Viola Davis became the first African-American to win for lead actress in a drama. And Jon Hamm broke his 0 for 16 Emmy streak for the last season of "Mad Men." But over on NBC's "Sunday Night Football," the Green Bay Packers beat the Seattle Seahawks in a hotly contested rematch of last year's NFC Championship game. The Emmys brought in a 3.6 rating with those in the prized advertising demographic of 18 to 49 years old -- down 14% from last year. The awards show was a hit on social media, however. More than 1 million tweets about the broadcast were viewed more than 188 million times, according to Fox. The most tweeted moment came right after Davis' emotional acceptance speech for her winning role on ABC's "How To Get Away With Murder." "The only thing that separates women of color from anyone else is opportunity," Davis said.